At Mars Hill University, before lecturing on Rachel Carson and North Carolina, Dr. Musil taught a class on environmental policy and met with campus environmental leaders, including students, faculty, and the Chair of the Department of Mathematics and Natural Sciences, Dr. Scott Pearson. Musil was hosted at MHU by Laura Boggess of the Biology Department who has been engaged in efforts to create an environmental studies minor at Mars Hill. 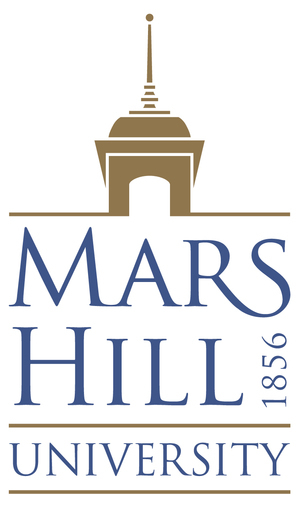 Until some recent expansion and shift to university status, Mars Hill had been a small, church-related liberal arts college. Today, Mars Hill has the opportunity to build on the experience of campuses with established environmental and sustainability programs. 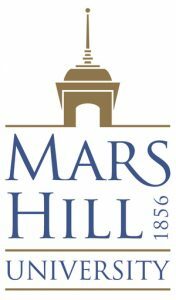 In addition to an environmental studies minor, Mars Hill will be forming its first student environmental organization and campus and local sustainability projects. At his campus lecture, RCC President Musil was introduced by MHU communications and public relations specialist, Steve Plever. Plever had been a producer for Musil’s national syndicated radio program, Consider the Alternatives, which won broadcasting awards for environmental coverage in the 1980s. Plever stressed Musil’s engagement with key issues and his personal concern and caring for others. The personal, heartfelt introduction allowed Musil to emphasize Rachel Carson’s environmental ethics which were formed through the religious beliefs of her mother, daughter of a Presbyterian minister, and through Carson’s early exposure to the nature study movement in the early twentieth century. It taught careful observation and the love of nature through outdoors experiential learning and the importance of feeling or empathy toward all creatures and people. Rachel Carson’s first book, Under the Sea-Wind, inspired by her visits to North Carolina beaches, was the result, Musil said. The RCC will celebrate the 75th anniversary of its 1941 publication with a major symposium in Washington DC on November 30. But Carson’s legacy, Musil stressed, needs to be constantly renewed and carried forward, given the environmental crisis and global warming we face today. Thus, the RCC Capitol Hill gathering will feature contemporary writers and advocates in the tradition of Carson like Sandra Steingraber who has three award-winning environmental books, but has also led national anti-fracking efforts. Musil then again called for students and faculty to engage in the issues of the day that Carson would have deeply cared about – nuclear weapons and waste, chemicals, CAFOs and climate change. The vast majority of the Mars Hill audience in the chapel then signed up with the Rachel Carson Council. And MHU has now become the thirty-third campus to join the Rachel Carson Campus Network (RCCN) and the seventh in North Carolina.